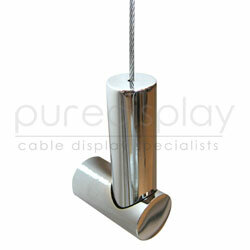 This wall bracket converts the cable kit into a wall fixed system. Use one at each end of the cable for wall to wall fixing. 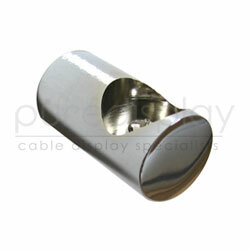 Can also be used with our cable track. Track toggle required for fixing onto track.